Teacher Appreciation Week is May 7-11! Thank you to all the educators, child care providers and school leaders for the amazing and meaningful work you do and for your dedication to enriching the lives of students. Because we value educators and know how hard you work both in and out of the classroom, we are offering a 15% discount on MSDE-CPD courses to two lucky winners.To participate in the contest, simply tell us what you like most about online courses on Thinkport, and let us know how you are using the content to support instruction and learning. (Discount will apply to courses for MSDE-CPD credits only). 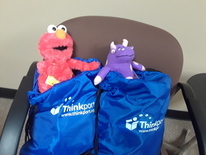 In honor of Teacher Appreciation Week, we are giving away two (2) gift bags filled with MPT/Thinkport goodies! You might be a lucky winner! Simply tell us about your favorite resource(s) or activities on Thinkport, and let us know how you implement them in your classroom or curriculum. To enter the giveaway, please submit an email to ladler@mpt.org with your full name, school or district, and feedback! Winners will be notified by email by May 18th. 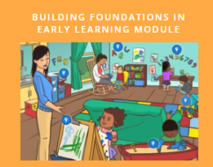 The early years of a child's life are crucial in creating a foundation for healthy growth and development.Thinkport's online module helps child care providers prepare to work effectively with children in their care, and create quality early learning experiences that lead children on a path to thrive and succeed. Learn how to adapt a four-step teaching method designed to foster student collaboration and create active learning environments. This method moves away from a teacher-focused form of instruction to student collaboration, engagement and curiosity. KQED Teach offers a collection of free, hands-on professional learning opportunities focused on the innovative use of digital media in instruction. 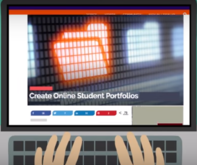 Educators can build skills in digital storytelling, data visualization, designing presentations, and other areas to support and enhance curriculum. We are pleased to announce that Joquetta Johnson, a renowned Library Media Specialist at Randallstown High School in Baltimore County, was recently selected as one of 30 educators from across the country to serve as a PBS Digital Innovator All-Star. Joquetta will work alongside Maryland Public Television’s Education Division over the next few years to help strengthen student learning and instruction in the community and in schools using educational technologies and digital media.